WASHINGTON, Sept. 5, 2014 - Ahmed Abdi al-Muhammad, also known Ahmed Godane, the co-founder of the al-Shabab jihadist group, was killed Sept. 1 in a U.S. airstrike in Somalia, Pentagon Press Secretary Navy Rear Adm. John Kirby confirmed today. 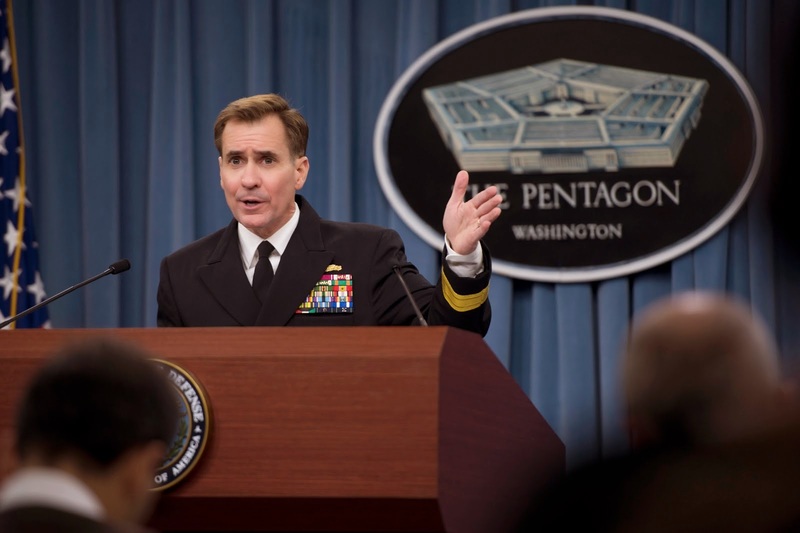 At a Sept. 2 Pentagon news conference, Kirby said manned and unmanned aircraft operated by U.S. special operations forces participated in an airstrike that destroyed an al-Shabab encampment and a vehicle located at that camp. Kirby added that the operation was a direct strike against the al-Shabab network, and specifically against Godane. The operation was carried out after actionable intelligence was obtained that suggested that Godane was present at the camp, located south of the Somali capital of Mogadishu, the press secretary said at the news conference, noting that it was too early to tell whether the strike had killed him. The aircraft fired several Hellfire missiles and laser-guided munitions, and no U.S. forces were present on the ground, either before or after the attack, he added. Al-Shabab is a jihadist group based in Somalia. It has claimed responsibility for last year's attack on the Westgate Mall in Nairobi, Kenya, which resulted in more than 70 deaths and 200 injured. The group is also believed to be responsible for many bombings, including suicide attacks in Mogadishu and in central and northern Somalia, Kirby said Sept. 2.